Newark air traffic controller blamed for near collision, but was it really his fault? NEWARK — A recent report by federal aviation officials on a near-midair collision at Newark Liberty International Airport noted that one of the two jets took 15 seconds to roll for takeoff after receiving clearance. But in the NTSB's subsequent probable cause finding issued last week, the safety board laid the blame for the near crash solely on the Newark air traffic controller. That has prompted some to question the NTSB's narrow finding of probable cause and its failure to explore why an ExpressJet pilot waited those crucial 15 seconds, a delay that Newark's air traffic manager, Russell Halleran, believed was the main cause of the narrowly avoided catastrophe. "Mr. Halleran thought the main cause of the incident stemmed from ASQ4100 delaying his takeoff roll for 15 seconds," states a March 17 Factual Report on the incident by the National Transportation Safety Board, referring to the ExpressJet's flight number. Though the NTSB acknowledged that those 15 seconds allowed a United Airlines jet to fly two miles closer to the runway intersection where the near collision occurred, the board determined that it was the controller's responsibility to maintain adequate separation between the two aircraft, to monitor whether his plan was being executed and, if not, to issue new orders. "I was very surprised," Mike Reilly, a retired air traffic controller at Newark Liberty, told NJ Advance Media, referring to the NTSB's finding. Had the ExpressJet taken less time to take off, Reilly said, it would have been up and away long before the other plane involved, a Boeing 737 landing on a perpendicular runway, was anywhere near setting down. If the ExpressJet pilot could not roll immediately, Reilly said, he should said so to the controller. "If they need time on the runway and they have to spool the engines up, it's the pilot's responsibility to let us know that," said Reilly, who retired two years ago after 22 years in the control tower, 17 of them Newark Liberty. Asked why the NTSB did not include the delay as a cause or factor contributing to the near-collision, the board released a statement asserting that the pilot had not broken any rules, while emphasizing the controller's ultimate responsibility for preventing collisions. And while the safety board offered a hypothetical reason for the delayed takeoff, the NTSB chose not to say why it failed to find out what had caused the delay. "ExpressJet's estimated 15 second delay after the aircraft was cleared for takeoff, while not anticipated by the controller, was acceptable under the regulations and might have been necessary to ensure needed operational and safety procedures were completed before takeoff," read the statement, which was attributed to Dana Schulze, NTSB Deputy Director of the Office of Aviation Safety. "An appropriate action in the interest of safety in a case like this would have been for the controller to cancel the takeoff clearance or provide a timely go-around instruction to the landing aircraft." ExpressJet declined to say why its Embraer took those 15 seconds to start rolling. "Flight 4100 was under the control of Air Traffic Control while departing Newark Liberty International Airport on April 24," company Spokesman Jarek Beem stated in an email. "Our crew followed ATC instructions and took off as directed." The near-miss, which occurred on the sunny, windy morning of April 24, 2014, was a startlingly close encounter for commercial airliners that stunned even veteran air traffic control officials and terrified passengers who watched it out their cabin windows. The ExpressJet plane with 50 passengers on board had just gotten airborne when it flew 400 feet below the United Airlines plane carrying 160 passengers. The controller, a 24-year veteran of the job, had been tasked with weaving a string of flights departing on a south-north runway through a succession of flights arriving on the perpendicular landing strip, an auxiliary runway in use at the time because of construction work on Newark's second north-south runway. The controller had cleared the ExpressJet for takeoff with the United jet 3.1 miles to the southeast. But 15 seconds later, when the controller noticed that the ExpressJet had only just begun to roll with the United jet now only a mile away, he directed the United pilot to "go around," or abort the landing and circle back for a second try. The controller also instructed the ExpressJet pilot to watch out for the United jet. The ExpressJet pilot put the nose of the aircraft down, staying low to the ground despite having just lifted off, while the United pilot pulled up sharply. In its finding last week, the NTSB stated the probable cause of the incident as "the local controller's failure to comply with Federal Aviation Administration separation requirements for aircraft operating on intersecting runways." The air traffic controller found to be at fault in the incident, a former Air Force controller who had worked at Newark Liberty since 2003, did not shirk responsibility, according to the NTSB, which stated that he acknowledged "he did not send UAL1243 around early enough." The FAA declined to comment on any disciplinary measures the controller faced. His union, the National Air Traffic Controllers Association, also declined to comment. The ExpressJet "Pilot Statement," one of a dozen documents included in the NTSB investigative docket, was not a statement by the pilot at all. Unlike the lengthy first-person accounts offered by the two United pilots, the ExpressJet statement is a brief memo from an ExpressJet company official that ignores the 15-second delay entirely. It stated: "The crew reported that, after a line up and wait clearance, they were cleared for takeoff. Takeoff was normal." Injuries: 1 Fatal, 4 Serious. The company flight coordinator on duty when the pilot got her "duty-on" briefing reported that, during the "duty-on" briefing, he informed the commercial pilot that most flights to the intended destination had been cancelled in the morning due to poor weather conditions and that one pilot had turned around due to weather. No record was found indicating that the pilot used the company computer to review weather information before the flight nor that she had received or retrieved any weather information before the flight. If she had obtained weather information, she would have seen that the weather was marginal visual flight rules to instrument flight rules conditions, which might have affected her decision to initiate the flight. The pilot subsequently departed for the scheduled commuter flight with four passengers on board; the flight was expected to be 20 minutes long. Review of automatic dependent surveillance-broadcast data transmitted by the airplane showed that the airplane's flight track was farther north than the typical track for the destination and that the airplane did not turn south toward the destination after crossing the channel. Data from an onboard multifunction display showed that, as the airplane approached mountainous terrain on the west side of the channel, the airplane made a series of erratic pitch-and-roll maneuvers before it impacted trees and terrain. Postaccident examination of the airframe and engine revealed no mechanical malfunctions or anomalies that would have precluded normal operation. One of the passengers reported that, after takeoff, the turbulence was "heavy," and there were layers of fog and clouds and some rain. Based on the weather reports, the passenger statement regarding the weather, and the flight's erratic movement just before impact, it is likely that the flight encountered instrument meteorological conditions as it approached the mountainous terrain and that the pilot then lost situational awareness and flew into trees and terrain. According to the company's General Operations Manual (GOM), operational control was delegated to the flight coordinator for the accident flight, and the flight coordinator and pilot-in-command (PIC) were jointly responsible for preflight planning, flight delay, and flight release, which included completing the flight risk assessment (FRA) process. This process required the PIC to fill out an FRA form and provide it to the flight coordinator before flight. However, the pilot did not fill out the form. The GOM stated that one of the roles of the flight dispatcher (also referred to as "flight coordinator") was to assist the pilot in flight preparation by gathering and disseminating pertinent information regarding weather and any information deemed necessary for the safety of flight. It also stated that the dispatcher was to assist the PIC as necessary to ensure that all items required for flight preparation were accomplished before each flight. However, the flight coordinator did not discuss all the risks and weather conditions associated with the flight with the pilot, which was contrary to the GOM. When the flight coordinator who was on duty at the time the airplane was ready to depart did not receive a completed FRA, he did not stop the flight from departing, which was contrary to company policy. By not completing an FRA, it is likely the total risks associated with the accident flight were not adequately assessed. Neither the pilot nor the flight coordinator should have allowed the flight to be released without having completed an FRA form, which led to a loss of operational control and the failure to do so likely contributed to the accident. Interviews with company personnel and a review of a sampling of FRA forms revealed that company personnel, including the flight coordinators, lacked a fundamental knowledge of operational control theory and practice and operational practices (or lack thereof), which led to a loss of operational control for the accident flight. The company provided no formal flight coordinator training nor was a formal training program required. All of the company's qualified flight coordinators were delegated operational control and, thus, were required by 14 Code of Federal Regulations Section 119.69 to be qualified through training, experience, and expertise and to fully understand aviation safety standards and safe operating practice with respect to the company's operation and its GOM. However, the company had no formal method of documenting these requirements; therefore, it lacked a method of determining its flight coordinators' qualifications. In postaccident interviews, the previous Federal Aviation Administration (FAA) principal operations inspector (POI), who became the frontline manager over the certificate, stated that the company used the minimum regulatory standard when it came to ceiling and visibility requirements and that the company did not have any company minimums in place. He further stated that a cloud ceiling of 500 ft and 2 miles visibility would not allow for power-off glide to land even though the company was required to meet this regulation. When asked if he believed the practice of allowing the pilot to decide when to fly was adequate, he said it was not and there should have been route altitudes. However, no action was taken to change SeaPort's operations. 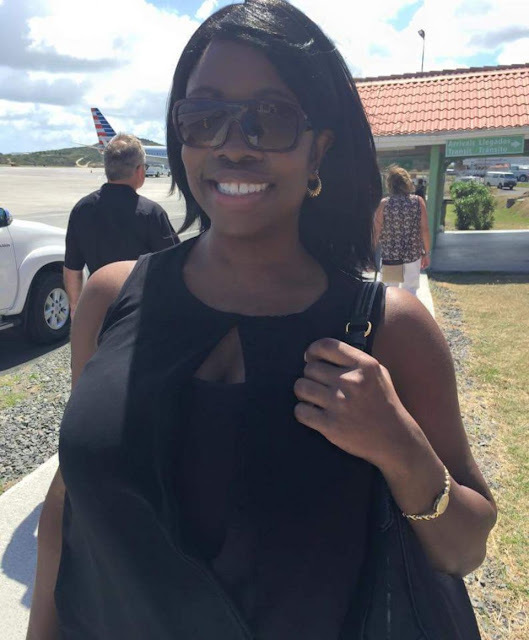 The POI at the time of the accident stated that she was also aware that the company was operating contrary to federal regulatory standards for gliding distance to shore. A review of FAA surveillance activities of the company revealed that the POI provided surveillance of the company following the accident, including an operational control inspection, and noted deficiencies with the company's operational procedures; however, the FAA did not hold the company accountable for correcting the identified operational deficiencies. If the FAA had conducted an investigation or initiated an enforcement action pertaining to the company's apparent disregard of the regulatory standard for maintaining glide distance before the accident similar to the inspection conducted following the accident, it is plausible the flight would not have departed or continued when glide distance could not be maintained. The FAA's failure to ensure that the company corrected these deficiencies likely contributed to this accident which resulted, in part, from the company's failure to comply with its GOM and applicable federal regulations, including required glide distance to shore. The company was the holder of a Medallion Shield until they voluntarily suspended the Shield status but retained the "Star" status and continued advertising as a Shield carrier. Medallion stated in an email "With this process of voluntarily suspension, there will be no official communication to the FAA…" Given that Medallion advertises that along with the Shield comes recognition by the FAA as an operator who incorporates higher standards of safety, it seems contrary to safety that they would withhold information pertaining to a suspension of that status. The pilot's decision to initiate and continue visual flight into instrument meteorological conditions, which resulted in a loss of situational awareness and controlled flight into terrain. Contributing to the accident were the company's failure to follow its operational control and flight release procedures and its inadequate training and oversight of operational control personnel. Also contributing to the accident was the Federal Aviation Administration's failure to hold the company accountable for correcting known regulatory deficiencies and ensuring that it complied with its operational control procedures. On July 17, 2015, about 1318 Alaska daylight time, a Cessna 207A airplane, N62AK, sustained substantial damage following an in-flight collision with tree-covered terrain about 18 miles west of Juneau, Alaska. The commercial pilot sustained fatal injuries, and four passengers sustained serious injuries. The flight was being operated as flight 202 by SeaPort Airlines, Inc., dba Wings of Alaska, as a 14 Code of Federal Regulations (CFR) Part 135 visual flight rules (VFR) scheduled commuter flight. (Wings of Alaska has been sold and is currently under different ownership.) Visual meteorological conditions were reported at the Juneau International Airport at the time of departure. A company flight plan had been filed, and company flight-following procedures were in effect. Flight 202 departed the Juneau Airport about 1308 for a scheduled 20-minute flight to Hoonah, Alaska. On the day of the accident, the pilot arrived at the company office in Juneau about 1200. The accident flight was the pilot's first scheduled flight of the day. The company flight coordinator on duty at the time told the pilot that most flights to Hoonah were cancelled in the morning due to poor weather conditions and that one pilot had turned around due to weather. The flight coordinator said that the weather had started lifting around 1000 and that the first flight to Hoonah had departed at 1045. He suggested that the accident pilot talk with the pilot who had just returned. The dispatch group had a shift change between the time the accident pilot came on duty and when the pilot departed. The company flight coordinator on duty at the time of the accident only communicated with the pilot when she reported taxiing off the ramp for departure. No weather information was discussed, and no further radio communications were received from the pilot by the company. According to Juneau Air Traffic Control Tower (ATCT) personnel, the pilot requested and received taxi clearance to depart for the 20-minute VFR flight to Hoonah at 1306. The flight was cleared for takeoff about 2 minutes later by the ATCT specialist on duty with no reported problems. About 15 minutes later, Juneau Police dispatchers received a 911 cell phone call from a passenger on board stating that the airplane had crashed. During an interview with one of the surviving passengers, who was sitting directly behind the pilot, he stated that the pilot seemed normal during the preflight and briefing. After takeoff, the turbulence was heavy, and there were layers of fog and clouds and some rain. He had taken this flight numerous times and thought that the flight route that the pilot was taking was somewhat unusual. Before the impact, he thought that the pilot was trying to climb over the approaching mountain and skirt between a layer of clouds. He saw the trees coming at the windshield, and the pilot jerked back on the controls, and then he heard a "loud boom." The next thing that he remembered was sitting outside the airplane. He said that there were no unusual sounds from the engine and that the airplane appeared to be flying normally before the impact. At 1308:09, the accident airplane took off from JNU. At 1312:33, the accident airplane started a northwesterly turn around the west side of Portland Island at an ADS-B reported altitude of 825 ft mean sea level (msl). At 1314:20, the accident airplane began a turn to a westerly heading at an ADS-B reported altitude of 825 ft msl. At 1316:25, the accident airplane crossed the western shoreline of Admiralty Island at an ADS-B reported altitude of 675 ft msl and continued on a constant heading until the last ADS-B point was recorded. The last ADS-B point was received at 1317:27, when the airplane was over Lynn Canal, about 1 mile from the eastern shoreline of the Chilkat mountain range at an ADS-B reported altitude of 525 ft msl. The last 30 seconds of the flight was missing from the ADS-B data. The pilot, age 45, held a commercial pilot certificate with airplane single-engine land and sea, multiengine land, and instrument ratings. The pilot was issued a first-class airman medical certificate on April 9, 2015, with the limitation that she "must wear corrective lenses." Company training records indicated that the pilot completed basic indoctrination on May 25, 2015, and initial ground training on June 2, 2015. Ground training curriculum was completed in two locations: Portland, Oregon, and Juneau. The pilot's most recent Part 135 proficiency checks (135.293 (a) (b) and 135.299) were completed in the Cessna 207 on June 12, 2015. Company records indicated that she had a total time of 840 flight hours. The base chief pilot, who provided about half of the accident pilot's flight training, said that she was very good on systems but that she needed a few additional hours of flight training and initial operating experience before he was comfortable signing her off. He noted that the one thing that he really liked about her was that she wasn't afraid of turning around if she was uncomfortable. He did not notice any negative attitudes or habits with her flying. The pilot's normal shift was the p.m. shift, which typically began at 1200 and ended at 2200. The pilot's flight and duty time records indicated that, the day before the accident, she flew 3.7 hours and then went off duty at 2200. The accident flight was the pilot's first flight of the day. In June 2015, the pilot was on duty for 27 days, flew about 23 hours, and had 3 days off. In July 2015, the pilot was on duty for 11 days, including the day of the accident; flew about 41 hours; and had 6 days off. The pilot had not had a day off in the 72 hours preceding the accident flight. During that time, she flew a total of 19 flight segments, totaling 9.4 hours, not including the accident flight. The pilot's roommates and family members reported no unusual activity in the 72 hours preceding the accident. However, in an interview with the pilot's sister, she said that the pilot had told her about an incident that had happened 2 or 3 weeks before the accident where she had gotten into a bad storm during a flight. The pilot said that she and her passengers were praying together to get through the weather and that eventually she saw the runway and was able to land the airplane uneventfully. Other than this event, the accident pilot never mentioned to her sister any concerns about flying for the company for which she worked. The accident airplane, a Cessna 207A, N62AK, was manufactured in 1984. Before the accident flight, the airplane had logged a total time in service of 26,613.1 flight hours. The airplane was maintained under a 100-hour/annual inspection program, and the most recent 100-hour inspection of the airframe and engine was on July 6, 2015. The airplane was equipped with a Continental Motors IO-520-F 285-horsepower reciprocating engine. The engine was factory rebuilt on June 16, 2015; installed on the airplane July 14, 2015; and had accumulated about 8.2 hours of operation before the accident flight. The area forecast issued by the National Weather Service Alaska Aviation Weather Unit (AAWU) at 1210 included an AIRMET for mountain obscuration due to clouds and precipitation, and the AIRMET was valid at the accident site at the accident time. The area forecast mentioned scattered clouds at 1,200 ft msl with broken to overcast ceilings at 2,000 ft msl with cloud tops to flight level 250 and an occasional broken ceiling at 1,200 ft msl with 5 miles visibility and light rain. Isolated instrument flight rules (IFR) conditions were also forecast with rain and mist. The AAWU weather charts produced at 1200 indicated that the accident site was on the boundary of marginal VFR to IFR conditions with isolated moderate low-level turbulence between the surface and 6,000 ft msl. The closest official weather observation station is Juneau, which is located about 18 miles east of the accident site. At 1253, a METAR was reporting, in part, wind 110° at 14 knots; visibility 7 statute miles in light rain and mist; clouds and ceiling 200 ft few, 3,500 ft overcast; temperature 57° F; dew point 55° F; altimeter 30.24 inches of Mercury. No record was found indicating that the pilot used the company computer to review weather information before the flight nor of her having received or retrieved any weather information before the flight. The flight coordinator did not review weather camera images with the accident pilot before the flight and had no further communication with the pilot about the weather. The accident airplane was not equipped, nor was it required to be equipped with, a cockpit voice recorder or a flight data recorder. On-scene examination revealed that the airplane impacted a large spruce tree at an elevation of about 1,250 ft msl. After the initial impact, the airplane fuselage separated into two pieces. The forward section of the airplane, consisting of the cockpit and engine, separated just forward of the main landing gear assembly and came to rest inverted about 50 ft forward of the initial impact point; the cockpit survivable space was severely compromised. The remaining section, consisting of the main cabin, wings, and empennage, came to rest inverted just below the initial impact point. The wreckage path was on a magnetic heading of about 215° and oriented uphill. The trees surrounding the accident site were on average over 100 ft tall. The wreckage was recovered from the accident site on July 20, 2015, and placed in a secure hangar at the Juneau Airport. The National Transportation Safety Board (NTSB) investigator-in-charge (IIC), FAA IIC, a Textron Aviation air safety investigator, and a party representative from the operator examined the airplane on July 20 and 21. The fuselage and engine compartment forward of fuselage station (FS) 65.33 was separated from the main fuselage and was found inverted 50 ft from the main fuselage. Both crew seats were observed in the forward fuselage. The engine remained in the forward fuselage. Both wings remained attached to the main fuselage. The left pilot's door had separated from the fuselage and was in the trees. The right passenger door had separated from the forward fuselage. The forward section of the cargo door remained attached to the fuselage. The aft section of the cargo door was separated from the fuselage. The empennage remained attached to the main fuselage and exhibited tree impact damage from FS 168.0 to 210.6. The outboard section of the right horizontal stabilizer from stabilizer station (SS) 54.4 outboard was not found. A section of the right elevator from SS 35.9 outboard was separated from the elevator and found at the main impact site. The left wing had a large tree impact mark near wing station (WS) 56.53, which displaced the leading edge back to the main spar and displaced the main spar aft about 10 inches. The flap and aileron remained attached to the wing. The right wing had a tree impact mark near WS 85.62, which displaced the leading edge back to the main spar. The leading edge was damaged from right WS 136.00 to the tip. The outboard section of the right wing from WS 172.00 to the tip and aileron were displaced upward. The flap and aileron remained attached to the wing. The aileron direct cable to the left wing was found with the ball end pulled out of the control pulley. The cable was continuous out to the left aileron bellcrank. The aileron crossover cable was continuous to the right aileron bellcrank. The right direct cable was continuous from the right aileron bellcrank to a tension overload separation in the doorpost area. The elevator cables were attached to the elevator torque tube and extended to about FS 95.33 where they exhibited a tension overload type separation. The elevator cables were attached to the aft elevator bellcrank and extended forward to about FS 95.33 where they exhibited a tension overload type separation. The elevator trim cables exhibited a tension overload type separation. The elevator trim tab actuator rod was observed extended the full length of the rod, and when slightly turned, the rod separated from the actuator. Both rudder cables were attached to the rudder bars in the cockpit and exhibited a tension overload type separation near FS 59.70. The aft section of each rudder cable was attached to the rudder, and the rudder actuated when the cables were moved. The flap actuator was observed in the "up" position. The flap follow up/indicator cable was stretched during the accident sequence. The indicator was observed in the "full flaps down" position, and the flap handle was in the "10°" position. The cables from the left wing to the right flap were attached. The fuel strainer was removed from the airplane, and it contained fuel. A sample could not be obtained due to the position of the strainer in the wreckage. Air was passed through both the left and right wing vent systems. Both fuel caps on both wings were observed installed on their filler necks, and their seals were pliable. The restraint systems of both crew seats consisted of compatible Cessna and Air Carriers Interiors, Inc., Kent, Washington, parts. Both of the crew seats remained partially attached to the seat tracks. The pilot's seat was equipped with an SEB07-5 Pilot and Copilot Secondary Seat Stop Installation. All the passenger seats were separated from the seat tracks. Rescue personnel removed some of the seats from the airplane during the rescue. Several of the passenger seats exhibited damage to the seat base and attachment feet. No preaccident anomalies were noted with the airframe that would have precluded normal operation. The State of Alaska Medical Examiner, Anchorage, Alaska, conducted an autopsy of the pilot. The cause of death for the pilot was attributed to "multiple blunt force injuries." The FAA's Civil Aerospace Medical Institute performed toxicological testing on specimens from the pilot on September 9, 2015, which were negative for carbon monoxide and ethanol. The toxicological testing detected Valsartan in the pilot's urine and blood. Valsartan is a prescription medication used to treat high blood pressure. The pilot reported the use of this medication on her last application for an airman medical certificate. About 1336, the US Coast Guard (USCG) in Alaska received a 406-megahertz emergency locator transmitter (ELT) signal assigned to the accident airplane. At 1421, after being notified of an overdue airplane and after learning about reports of an ELT signal along the accident pilot's anticipated flight route, search and rescue personnel from the USCG Air Station Sitka began a search for the missing airplane. About 1650, the crew of a USCG HH-60 helicopter located the airplane's wreckage in an area of mountainous, tree-covered terrain. A rescue swimmer was lowered to the accident site and discovered that the pilot had died at the scene and that the four other occupants had survived the crash. The four survivors were hoisted aboard the HH-60 helicopter in two trips and then transported to Juneau. All four passengers in the main cabin survived the accident. After the initial impact, the fuselage section, consisting of the main passenger cabin, fell straight down the trunk of the tree and came to rest inverted. The cabin's structure remained relatively intact with sufficient survivable space. The pilot, who was in the cockpit, sustained fatal injuries. The forward fuselage and cockpit separated from the main fuselage and traveled about 50 yards forward before impacting in an inverted position. The survivable space in the cockpit was severely compromised. The engine was shipped to Anchorage, and on August 17, 2015, it was tested and run at the Alaskan Aircraft Engines facility. The engine was placed on a test stand with a replacement propeller. Before the engine test, fuel was noted leaking from the fuel-metering plug retention screw on the fuel-metering unit when the electric boost pump was used to prime the engine. The fuel leak was not noticeable during the engine test, and further examination of the leak showed that the screw was likely fractured during the accident sequence. The engine started on the first attempt with no hesitations or anomalies noted. The engine was run for about 8 minutes through various power settings, including full power, with no anomalies noted. At the time of the accident, SeaPort Airlines was operating 21 airplanes, of which 5 were based in Juneau. The company employed about 80 pilots and had bases in Juneau; Portland; Memphis, Tennessee; and San Diego, California. SeaPort Airlines GOM section A, as referenced above, contains policies for Operational Control, but does not explain the procedures utilized for the initiation or conduct of flight movements. The policies contained in this section are a restatement of the certificate holder responsibilities listed on Operations Specifications Paragraph A008. SeaPort Airlines GOM section L, as referenced above, contains the procedures for conducting flight locating, but does not contain procedures for the initiation or conduct of flight movements. All flights operated by SeaPort Airlines, Inc. will be initiated, conducted or terminated only by those having been given operational control authority of SeaPort Airlines, Inc. as described in our General Operations Manual…Prior to any 135 flight or series of flight, at least the PIC [pilot-in-command] assigned must determine, whether the flight can be initiated, conducted, or terminated safely and in accordance with SeaPort Airlines, Inc. operation specifications, manuals, and regulations. However, a review of the SeaPort GOM that was in effect at the time of the accident did not reveal any policies and procedures for initiation and conduct of flights. A company representative stated that all the people listed in Flight Operations Bulletin 4-15, "Operational Control Personnel," were authorized to exercise operational control, including initiating or terminating flights. This list included the director of operations (DO), chief pilot, director of systems operation control (SOC), base and assistant base chief pilots, director and assistant director of maintenance, dispatchers (flight coordinators), and the company president; the list did not include PICs as approved operational control personnel. Operations personnel, as referred to in this manual, are also known as dispatchers. Prior to service, they must have received training and be knowledgeable of the General Operations Manual, Operation Specifications, Minimum Equipment List, and Operational Control policies and procedures of SeaPort Airlines, Inc.
conditions and any information deemed necessary for the safety of flight. • Ensure that the pilot is qualified and current in the assigned aircraft. FAR 135.263, .265, .267, as applicable. 135.293,.297, and .299, as applicable. • Monitor pilot status board to ensure pilots' medicals are current. In an interview, the flight coordinator that provided the accident pilot her "duty-on" briefing the day of the accident stated that there was no formal classroom training for flight coordinators and only on-the-job training, which consisted of shadowing a flight coordinator, followed by performing the duties while being observed. In an interview, the DO stated that there was no formalized training program for flight coordinators but that it was a 4- to 6-week process, largely comprising on-the-job training. He also stated that he was unaware of there being any specific training documentation forms to keep track of training. In an interview, the director of SOC stated that the flight coordinators in Portland were trained for Alaska-specific items, such as weather cameras, flight risk assessment (FRA) forms, and unique weather patterns, but that "at the end of the day, it's still Caravans or Cessnas flying up a canal." When asked about recurrent training for flight coordinators, he stated that, although they completed annual training, there was nothing documented at the time and nothing Juneau-specific. SeaPort Airlines implemented an FRA process for Alaska operations. The use of the FRA process was not elaborated upon in the GOM; however, the GOM assigned responsibility for the FRA to the PIC and director of flight control, which was changed to the director of SOC in Flight Operations Bulletin 4-15. The SeaPort GOM, Section A.4.7, stated that one of the duties of the PIC was to complete an FRA, if applicable, before the flight to determine the risk level associated with the flight. To satisfy this requirement, pilots were to complete the FRA form during flight planning and to provide the completed forms to the flight coordinator before flight. The FRA form applied numerical values to certain situations/circumstances, including, in part human, destination, and weather factors. According to the FRA form, risk values of 0 to 20 were considered a low risk factor and required only pilot and SOC concurrence. Risk values of 21 to 35 were classified as a risk factor of "caution," which required management notification. Risk values of 36 to 45 were classified as "medium risk," which required management approval. Risk values of 46 and higher were classified as "high risk," which required mitigation or flight cancellation. The pilot also had to complete a section listing the proposed true airspeed and altitude. At the time of the accident, flight coordinators and PICs were required to sign off on the FRA form. The FRA form was part of the company's operational control and flight release system and was provided to the FAA, but it was not incorporated into the GOM, training program, or other company manuals. In an interview, the company president stated that the use of the FRA form was limited to Alaska and was used as part of the Medallion program. Although the form was not described in the GOM, it was intended to be used for every flight. The flight coordinator who was on duty at the time of the accident stated that the PIC would complete the FRA form and fax it to the SOC. The coordinator's job was to just make sure the form "looked good." If management notification was required, he would sign that block on the form. He stated that he would only inform management if their approval was required as determined by a risk value between 36 and 45. The flight coordinator who provided the accident pilot her "duty-on" briefing stated that, after a pilot completed the FRA form, sometimes the pilot would fax it to the SOC, and sometimes the form would be maintained in Juneau. If he saw one on the fax machine at the SOC, he would glance over it to determine if he agreed with the values and would hold onto it for his own records because he was not required to do anything specific with the forms. He further stated that he received no training on the use of the FRA form. The accident pilot did not submit an FRA form before departing on the accident flight. The NTSB Operational Factors Group obtained three FRA forms dated June 9, 2015. This date was selected due to the existence of marginal VFR weather conditions in the Juneau area that day. A review of the forms revealed that all three of them were incomplete or incorrectly completed. Three of the forms were not signed off by the flight coordinator. Two of the forms did not follow the guidance at the top of the page that stated the lowest total for any section could be 0 and that no negative values could be entered. Also, the same two forms required management notification; however, there was no notation indicating that management was notified. The NTSB Operational Factors Group also obtained 11 FRA forms dated August 20, 2015. Three of the forms were incorrect or incomplete. A review of one of the forms revealed that it was incomplete and that it listed a proposed altitude of "1000 hopefully" for a flight requiring the crossing of a channel about 2.5 nautical miles wide at the narrowest point. Additionally, the pilot entered a negative value for the section labeled "destination factors" and omitted a 2-point value from the human factors section titled "ADO and ACP not on duty," which every other pilot who completed an FRA that day applied to their score. The pilot assessed a total risk value of 17. However, when the omitted 2-point value was added and the negative "destination factors" value was removed, the total risk value was 21, which would have required management notification. Only approved persons may exercise operational control on the certificate holder's behalf. The certificate holder must have adequate controls in place to ensure that officials in a position of authority over flights conducted under the certificate do so safely, and in compliance with the regulations, OpSpecs, GOM, as applicable, and accepted or approved procedures. management is not a legitimate excuse for failing to maintain operational control. The FAA front line manager responsible for the SeaPort Airlines certificate was the principal operations inspector (POI) for SeaPort Airlines until January 2015. During postaccident interviews, when asked if he knew the ceiling and visibility requirements for Part 135 flights over open water, he stated that SeaPort Airlines used the minimum regulatory standard and did not have company minimums in place. He said that in reference to power-off gliding distance to shore, there was a regulatory standard that had to be met. Cloud ceilings of 500 feet and 2 miles visibility would not allow for power-off glide to land, but that they had to meet the regulation. He stated that it was a changing number and up to the pilot to decide. When asked if he believed the practice of allowing the pilot to decide was adequate, he said it was not and there should have been route altitudes. A chart located in the Pilot's Operating Handbook of the accident airplane titled Maximum Glide showed that following an engine failure, the altitude required to glide 3 miles is about 2,000 ft. No record of enforcement action was located during the investigation related to this regulatory deviation. The POI assigned to the certificate at the time of the accident was located in the Portland Flight Standards District Office and was assigned to the certificate in January 2015. She had been employed with the FAA for about 7 years at the time of the accident. She stated in an interview that, in addition to SeaPort Airlines, she was the POI for a Part 135 air ambulance company and a Part 135 operator considered high risk. The POI was also assigned oversight of a designated pilot examiner, and she was the only inspector in the office qualified for tailwheel and turbine operations. She stated there probably should have been assistant inspectors, but they did not have the resources in the Portland FSDO. The POI added that, although legally operating in the Juneau area under VFR, the company did not respect the environmental challenges and proactively increase company weather minimums. She also questioned if there was enough oversight from company management of pilots new to flying in Alaska. When asked if the company's minimum altitudes changed when flights were operated over water, the POI replied that SeaPort was operating at 500 ft with 2 miles visibility over a 3-mile-wide channel. She stated that 500 ft would not provide 3 miles of gliding distance. The POI added that, while conducting surveillance in the operations center for SeaPort in September 2015, she observed an airplane making 360° turns; she told the flight coordinator that they should call the pilot and tell him to turn back. The flight coordinator tried to call the flight back to JNU but was unable to make radio contact with the pilot. The airplane descended to 800 ft above the channel, and radio contact still could not be established. The POI called it a loss of operational control and a risk that needed to be mitigated. She thought a letter needed to be sent from the FAA to the company, but it was being held by the FAA Alaska Regional Deputy Division Manager. She stressed to an NTSB investigator that the findings needed to go to the company but that they were still going through the process. That anyone in a position to exercise control over operations conducted under the operating certificate must be qualified through training, experience, and expertise, and to the extent of their responsibilities, have a full understanding of the following material with respect to the certificate holder's operation; aviation safety standards and safe operating practices; 14 CFR Chapter I (Federal Aviation Regulations); the certificate holder's operations specifications; all appropriate maintenance and airworthiness requirements of this chapter (e.g., parts 1, 21, 23, 25, 43, 45, 47, 65, 91, and 135 of this chapter); and the manual required by Sec. 135.21 of this chapter; and discharge their duties to meet applicable legal requirements and to maintain safe operations. When asked how the requirements for persons exercising operational control in accordance with 14 CFR 119.69 were met, the POI stated that they are trained but that she had never observed the training. As for prerequisites, she said there were none because they did not need to be pilots or certified dispatchers. The previous POI for the company stated that Part 119 required operational control personnel to be knowledgeable in certain subjects. He said that the flight coordinators were trained and that it was documented that they had certain training, but there was no approved training program. • Controlled flight into terrain (CFIT) avoidance • Operational control • Maintenance and ground service • Safety • Internal evaluation To earn a star, an applicant organization had to complete specific training classes, produce a required manual, and undergo an external audit to determine if the company had incorporated the information into its corporate culture. Following the initial audit, annual independent audits were to be conducted. According to the Medallion website, the benefits of being a Shield carrier "include reduced insurance rates, cross promotional marketing of Shield carriers and recognition by DOD [Department of Defense], OGP [Oil and Gas Producers] and the FAA as an operator who incorporates higher standards of safety than required by regulations." On March 25, 2016, the company provided a document to the NTSB dated March 23, 2009, titled "client access website for Medallion Foundation," which established a Shield Program award date of May 23, 2008, for SeaPort Airlines. The document indicated that SeaPort Airlines, doing business as Wings of Alaska Airlines, held the following stars: CFIT avoidance, operational control, safety, internal audit, and maintenance and ground service. Documents and emails provided to the NTSB by SeaPort Airlines indicated that the company met with Medallion staff on April 21, 2015, in Juneau to discuss the status and necessary revisions to maintain a Medallion Shield. On May 6, 2015, SeaPort Airlines sent an e-mail to the Deputy Director of the Medallion Foundation that contained an attached letter outlining the changes to the Medallion program manuals and a timeline for audits and revisions. The letter of intent was dated May 5, 2015, and Seaport Airlines provided a draft copy to the NTSB. On May 8, 2015, Deputy Director of the Medallion Foundation sent an e-mail to the President of SeaPort Airlines responding to the letter of intent. In the e-mail, the Deputy Director stated that, after discussions with the Executive Director, two options were available to SeaPort Airlines regarding the Medallion Shield. The e-mail noted that the first option would be a voluntary suspension of Shield status by SeaPort Airlines. The e-mail stated that Wings of Alaska would be removed from the list of Shield Carriers on the Medallion Foundation website but Medallion would not remove the status of the stars. It further stated, "With this process of voluntary suspension, there will be no official communication to the FAA, nor will we retain any records within the Medallion files kept on the participating members." The e-mail stated that the second option would be an involuntary suspension of Shield status by Medallion. In this case, Medallion Foundation would "have to go through a paperwork trail, including official notification made into Medallion files." The email did not explain the reason for the suspension. Review of the documents provided by SeaPort Airlines indicated that SeaPort voluntarily suspended its Medallion shield on May 15, 2015. The documents also showed the company was allowed to maintain the status of its stars but was removed from the list of Medallion Shield Carriers. On June 29, 2015, the Executive Director of Medallion sent a letter to the President of SeaPort Airlines expressing concern about how the Medallion Foundation was managing each operator's fulfillment of the CFIT avoidance program. The executive director requested a copy of SeaPort's CFIT avoidance program, pilot roster, and CFIT avoidance training records. SeaPort's July 10, 2015 (which was 7 days before the accident), response letter indicated that the accident pilot and three other pilots had not completed initial CFIT avoidance training but that eight other trainees had completed the training. The accident airplane was equipped with two Chelton integrated display units (IDU). The IDUs are identical part numbers and are configured to operate as primary flight displays (PFD) or multifunction displays (MFD). Using sensors, including a solid-state air data and attitude heading reference system and ADS-B technology, the PFD displayed aircraft parameter data including altitude, airspeed, attitude, vertical speed, and heading. The MFD displayed navigational information on a moving map, and glide distance was indicated by a ring around the airplane that changed size and shape based on aircraft altitude and wind. The IDUs recorded valid data for the entire accident flight. The IDU flight route was consistent with the initial ADS-B data. However, the data showed the airplane altitude slightly higher than the ADS-B data with the airplane crossing Admiralty Island about 1,100 ft msl and then beginning a constant descent from about the western shore of the island until about 30 seconds before impact when an abrupt climb was initiated. The airplane continued in a westerly direction before making a series of erratic pitch-and-roll maneuvers. The highest altitude reached during the accident flight was 1,220 ft msl, which occurred just before impact. The last data point was recorded at 1318:10. The FlightLogic electronic flight instrument system (EFIS) IDUs includes a terrain awareness and warning system (TAWS) that provided color-coded warnings of terrain on the MFD and, when enabled, aural alerts. The IDU provided Technical Standard Order-C151b TAWS functionality. As part of the TAWS, the PFD was capable of providing a profile view of terrain ahead of the aircraft ("synthetic vision"). The system features integrated Class C TAWS or, depending upon aircraft configuration settings and external sensors/switches, the system is configurable as a Class A, B or C TAWS or a Class A or B Helicopter TAWS. 1. Terrain display: Displays terrain and obstacles on the PFD and MFD. 2. Forward looking terrain awareness: A warning function that uses a terrain and obstruction database to alert the pilot to hazardous terrain or obstructions in front of the aircraft. 3. Premature descent alert: A warning function that alerts the pilot when the aircraft descends well below a normal approach glidepath on the final approach segment of an instrument approach procedure. 4. Excessive descent rate alert (ground proximity warning system [GPWS] Mode 1): A warning function that alerts the pilot when the rate of descent is hazardously high compared to height above terrain (for example, when descending into terrain). 5. Sink rate after takeoff or missed approach alert (GPWS Mode 3): A warning function that alerts the pilot when a sink rate is detected immediately after takeoff or initiation of a missed approach. The Chelton system included a TAWS inhibit switch that could be used to manually inhibit TAWS alerting functions. The switch was of the latching type and gave an obvious indication of actuation (that is, a toggle switch). The TAWS inhibit switch was connected directly to the EFIS IDU. Data recovered from the accident airplane's IDU showed that the TAWS alerting function was set to the "inhibit" position at the time of impact. The toggle switch was found in the "inhibit" position in the wreckage, and a digital image from a passenger's personal electronic device showed that the switch was in the inhibit position during the flight. On July 17, 2015, about 1318 Alaska daylight time, a Cessna 207A airplane, N62AK, sustained substantial damage following an in-flight collision with tree-covered terrain about 18 miles west of Juneau, Alaska. The flight was being operated as Flight 202, by Sea Port Airlines, Inc., dba Wings of Alaska, as a visual flight rules (VFR) scheduled commuter flight under the provisions of 14 Code of Federal Regulations Part 135. The commercial pilot sustained fatal injuries, and four passengers sustained serious injuries. Visual meteorological conditions were reported at the Juneau International Airport at the time of departure. Flight 202 departed the Juneau Airport about 1308, for a scheduled 20 minute flight to Hoonah, Alaska. A company flight plan was on file and company flight following procedures were in effect. According to Juneau Air Traffic Control Tower (ATCT) personnel, the pilot requested and received taxi clearance to depart for the 20 minute VFR flight to Hoonah at 1306. The flight was cleared for takeoff about 2 minutes later by the ATCT specialist on duty with no reported problems. About 15 minutes later, Juneau Police dispatchers received a 911 cell phone call from a passenger on board that the airplane had crashed. About 1336, the United States Coast Guard (USCG) Alaska received a 406 Mhz emergency locator transmitter (ELT) signal assigned to the accident airplane. At 1421, after being notified of an overdue airplane, and after learning about reports of an emergency locator transmitter (ELT) signal along the accident pilot's anticipated flight route, search and rescue personnel from the U.S. Coast Guard Air Station Sitka, began a search for the missing airplane. About 1650, the crew of a U.S. Coast Guard HH-60 helicopter located the airplane's wreckage in an area of mountainous, tree-covered terrain. A rescue swimmer was lowered to the accident site and discovered that one of the airplane's occupants, the pilot, died at the scene, and four others had survived the crash. The four survivors were hoisted aboard the HH-60 helicopter in two trips, and then transported to Juneau. Assisted by the crew of a United States Coast Guard HH-60 Jayhawk helicopter, the National Transportation Safety Board (NTSB) investigator-in-charge (IIC), along with three members from Juneau Mountain Rescue, reached the accident site on the afternoon of July 18. The on-scene examination revealed that the airplane impacted at large spruce tree, at an elevation of about 1,250 feet mean sea level. After the initial impact, the airplane fuselage separated into two pieces. The forward section of the airplane, consisting of the cockpit and engine, separated just forward of the main landing gear assembly and came to rest inverted about 50 feet forward of the initial impact point. The remaining section consisting of the main cabin, wings, and empennage came to rest inverted just below the initial impact point. The wreckage path was on approximately a 215 degree heading, and uphill (All headings/ bearings noted in this report are magnetic). The average heights of the trees surrounding the accident site were in excess of 100 feet tall. All of the airplanes major components were found at the main wreckage site. The closest official weather observation station is Juneau, which is located about 18 miles east of the accident site. On July 17, at 1253, an Aviation Routine Weather Report (METAR) was reporting in part: Wind, 110 degrees at 14 knots; visibility, 7 statute miles in light rain and mist; clouds and ceiling, 200 feet few, 3,500 feet overcast; temperature, 57 degrees F; dew point, 55 degrees F; altimeter, 30.24 inHg. The accident airplane was equipped with an avionics package known as automatic dependent surveillance-broadcast (ADS-B), which is also known as "Capstone." ADS-B technology provides pilots with situational awareness by displaying the airplane's position over terrain, while using GPS technology, coupled with an instrument panel mounted, moving map display. The ADS-B equipment installed in the accident airplane included two Chelton multifunction display (MFD) units. One MFD provides the pilot with a moving map with terrain awareness information, and the other provides primary flight display information. The two MFD units were removed from the wreckage and shipped, to the NTSB vehicle recorder laboratory, Washington, D.C. The airplane was equipped with a Continental Motors IO-520-F reciprocating engine. A detailed engine examination is pending. 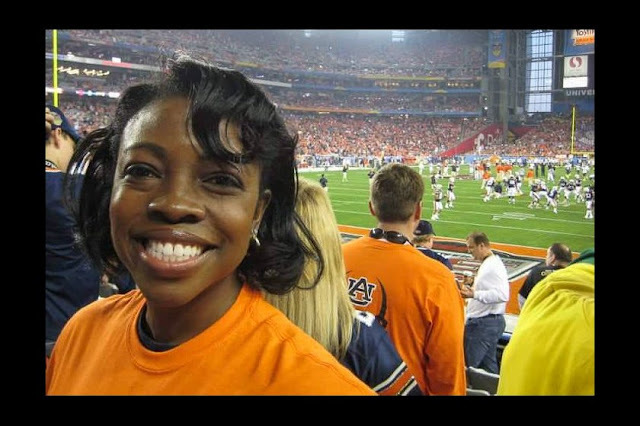 Auburn University graduate Fariah Lashawn Peterson, 45, died July 17, 2015 when the airplane she was piloting crashed in Alaska. 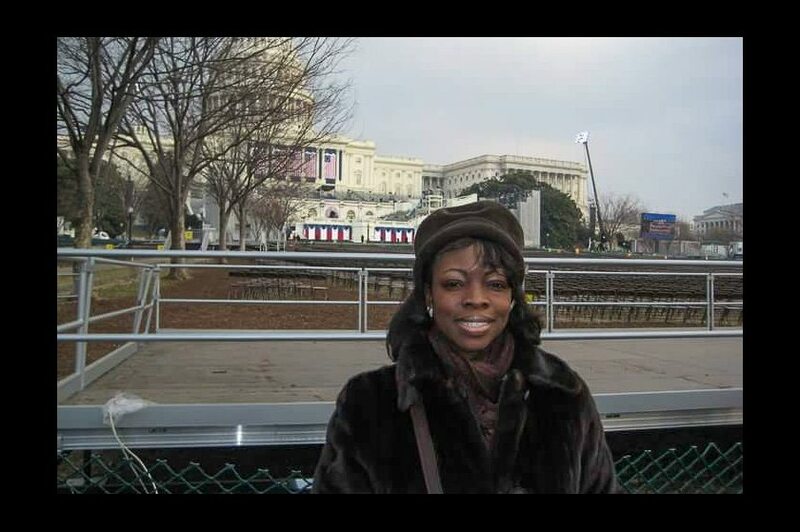 Fariah Lashawn Peterson, 45, always wanted to be an airplane pilot, from the time she was a small child growing up in Birmingham. "When she was a little girl, she pretended we were flying instead of riding the bus," said her older sister, Michelle Ramsey. "If my mother was taking us shopping, we rode the city bus. I was the co-pilot and she was the pilot. She knew that's what she wanted to do from a young age." Peterson got to live her dream, but it ended tragically on July 17 when the Wings of Alaska plane she was piloting crash-landed. She was killed. The four passengers survived. "All of her passengers survived," Ramsey said. "We're very grateful to God for that." Peterson attended Wylam Elementary School and the Alabama School of Fine Arts before graduating from Ensley High School in 1988. She graduated from Auburn University in 1991 with a bachelor's degree in business administration, with a concentration in finance. In 1997, she graduated from Kennesaw State University with a master's degree in business administration. She worked for Coca-Cola Enterprises in Atlanta 1998-2001. She received a Delta Airlines scholarship and graduated in 2003 from Western Michigan University with a degree in aviation flight science. She wanted to be a commercial pilot, but many of the airlines were not hiring after the terrorist attacks of 2001, so she went back to work as a financial analyst, Ramsey said. She worked for Global Response in Margate, Fla., from 2003-04 and for Pediatric Medical Group in Sunrise, Fla., from 2004-05. She worked as a senior financial analyst for Federal Express in Memphis from 2005-2013. While living in Memphis, she attended Greater Imani Church. She was ordained as the first woman deacon at the church, Ramsey said. She had hoped to move into a job as a pilot for Federal Express, but that didn't happen. "She never gave up her dream about wanting to fly," Ramsey said. "Then she called and said, 'I quit my job. I sold my house.'" She went to work as a flight instructor in Florida and then Georgia before going to work for Seaport Airlines. "She was an adventurer," Ramsey said. "She always said, 'God didn't create this world for us to just sit in one little spot.' She was never afraid." Wings of Alaska is a division of Seaport Airlines. "She said, 'They're very short-staffed in Alaska. I'm going to go help them.' She was only supposed to stay for the summer. She went there at the end of May. The people in Juneau loved her. She loved it there. She took so many pictures." The morning of the crash, Peterson called her sister to wish her well on her state nursing test that day. "She said, 'Don't worry, you'll pass.'" Ramsey did pass, but that same day, she got the news from Alaska. "On July 17, we got that fateful call that they lost contact with her plane," Ramsey said. "She braced them for an emergency landing. She knew that they were going to crash land. When they treated the survivors, they kept asking, 'How is the pilot?'" The crash happened about 18 miles west of Juneau, on what was supposed to be a 20-minute flight to Hoonah, about 40 miles west of Juneau. The airplane went down in a rugged area and struck a spruce tree, according to a preliminary report issued by the National Transportation and Safety Board. On July 17 in the vicinity of the crash, the National Weather Service reported rain, fog and reduced visibility with cloud ceilings down to 400 feet. "All of us at Wings of Alaska and SeaPort Airlines are deeply saddened by the accident, and the confirmation of the loss of pilot Fariah Peterson," Wings of Alaska CEO Rob McKinney said on the day of the crash. "We have lost a member of our work family, and our thoughts and prayers continue for everyone involved and touched by this tragedy." The NTSB has recovered equipment from the Cessna 207A airplane, N62AK, and will issue a full report at a later date. Ramsey believes her sister did everything she could to put the safety of her passengers first. "I know she did everything she could to save those passengers," she said. "She was very wise, always giving me advice," Ramsey said. "Whatever she set her mind to do, she was going to do. She always had this very contagious smile and laugh. Some people live to be 90 and don't accomplish what she did at 45." 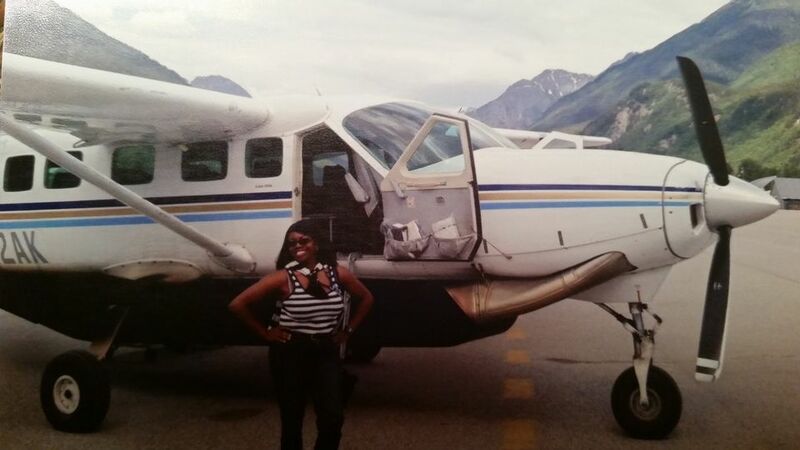 Fariah Peterson, 45, of Birmingham, Alabama, was the pilot of the Wings of Alaska Cessna 207 that crashed Friday and the sole casualty of the incident. 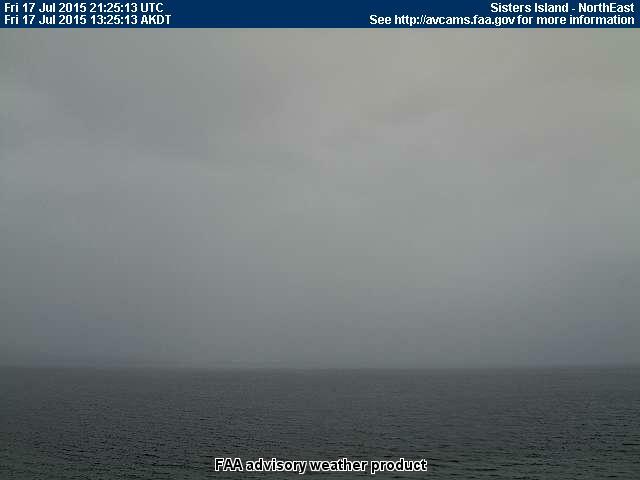 This image was captured by an FAA webcam facing northeast from Sisters Island, near the crash site, moments before the crash was first reported in the area of the crash, the National Weather Service reported rain, fog and reduced visibility, with cloud ceilings down to 400 feet. The Alaska State Troopers released an updated list of names Saturday morning of the passengers aboard a Wings of Alaska plane that crashed on land 18 miles west of Juneau Friday afternoon. The passengers were Humberto Hernandez-Aponte, 57, and Sandra Herrera Lopez, 60, of Juneau; Ernestine Hanlon-Abel, 64, of Hoonah; Jose Vazquez, 15, of Puerto Rico; and pilot Fariah Peterson, 45, of Birmingham, Alabama. Peterson died in the crash. Troopers are working to recover her body. The other four victims were transported to Bartlett Regional Hospital in Juneau for treatment. According to a statement from the hospital, Hernandez-Aponte and Vazquez are listed in stable condition and are receiving treatment locally. Lopez and Hanlon-Abel were both medevaced to Harborview Medical Center in Seattle. As of 3:15 p.m., they were both listed to be in serious condition and were receiving care in the hospital's intensive care unit, according to the nursing manager. Hanlon-Abel had previously been listed to be in critical condition. The hospital was unable to give any details of the passengers' injuries. Wings of Alaska has hired a counselor "to provide information and support" for family and friends of victims of the crash, according to a statement from the company. The counselor will be available at 2 p.m. Saturday. To set up a counseling session, friends and family can call the Wings of Alaska assistance line at 407-362-0632. Those connected to people on board the flight yesterday who would prefer to talk to a counselor via phone are also encouraged to use this number, according to the statement. Wings of Alaska has cancelled its Saturday flights "out of sensitivity to employees." Service will resume Sunday. The airline will contact affected customers to refund and rebook tickets. Customers with questions about a reservation can reach the reservation call center at 800-789-9464, according to the statement. 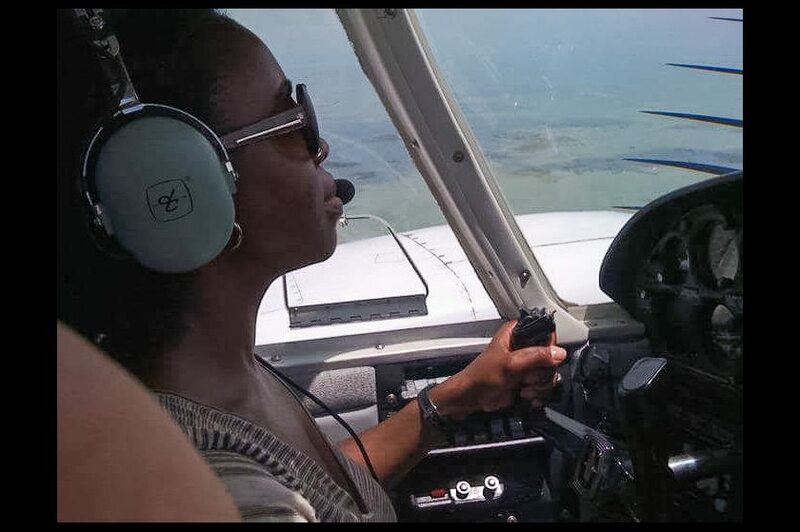 BIRMINGHAM, AL (WBRC) - The woman who died in a plane crash in Alaska was the pilot of the aircraft and is originally from Birmingham, Alabama. 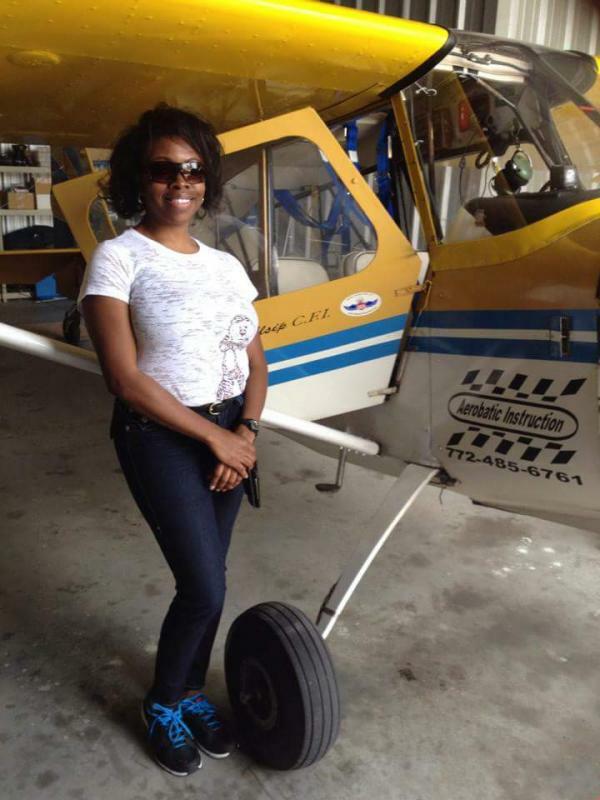 Relatives of 45-year-old Fariah Peterson confirm she was the pilot on board who died in the crash. 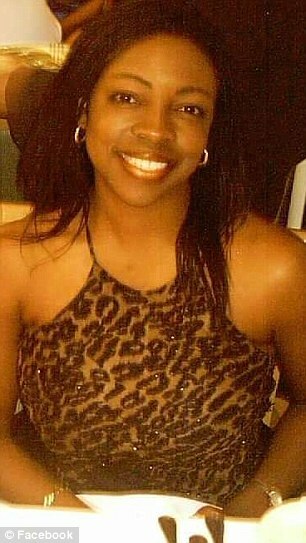 Several family members posted messages on Facebook Saturday morning sharing the news of her death. "She loved what she did," said Michelle Ramsey, one of Fariah's sisters. Peterson was a pilot for Wings of Alaska and moved to Juneau, AK about 2 months ago. Prior to that she lived in Oregon and Georgia and was a flight instructor, according to Ramsey. Peterson graduated from Ensley High School in Birmingham, completed undergraduate studies at Auburn University and earned a Masters degree from Kennesaw State in Georgia. Peterson grew up in Birmingham's Wylam neighborhood, Ramsey told WBRC FOX6 News early Saturday morning by phone. Peterson learned to fly at a school in Battle Creek, MI, according to Ramsey. The Cessna 207 was flying from Juneau, AK to Hoonah, AK Friday afternoon when it crashed. It was carrying four passengers with Peterson piloting the aircraft, according to Alaska State Troopers. The Juneau Police said they received a 911 call on Friday afternoon from a person reporting they had been in a plane crash. The name of the caller matched the name of one of the passengers. "She saved the lives of those passengers," Ramsey said of her sister. The Coast Guard was able to hoist three of the injured, Humberto Hernandez, 57, and his wife, Sandra Herrera, 60, both of Juneau; and Jose Vasquez, 15, of Puerto Rico, on the first trip and 64-year-old Hoonah resident Ernestine Hanlon-Able on a second trip. All were transported to Juneau, according to Alaska State Troopers. "I know she did everything she could to save those passengers," said Ramsey. A U.S. Coast Guard Jayhawk helicopter and the crew of the Coast Guard Cutter Liberty were dispatched for search and recovery efforts. The NTSB will fly to the scene Saturday to conduct an investigation into the cause of the crash, according to Alaska State Troopers. We are working on getting more information about this crash. Check back for updates. A single-engine commuter plane on a short flight between Juneau and Hoonah crashed Friday afternoon, killing the 45-year-old pilot. The plane’s four passengers survived, according to Alaska State Troopers. “I can remember when we would ride the school bus she would pretend that we were flying and she would be the pilot,” said Michelle Ramsey, Peterson’s 48-year-old sister, in a phone interview from Alabama. Troopers identified the plane's four passengers as Humberto Hernandez, 57, and his wife, Sandra Herrera, 60, both of Juneau; Jose Vasquez, 15, of Puerto Rico; and Ernestine Hanlon-Abel, 64, of Hoonah. At 1:26 p.m., Juneau 911 dispatchers got a call from one of the passengers who said “they had just been involved in a plane crash,” according to a statement from the Juneau Police Department. “The name of the 911 caller matched the name of one of the people listed on the missing plane,” said the statement. The call came in two minutes after the plane was due to arrive in Hoonah. By 6:30 p.m., rescue crews had lifted three of the survivors into a helicopter. Troopers said the first three people out of the crash area were Hernandez, Herrera and Vasquez. DeVuyst reported about an hour later that a fourth person with “extensive injuries” had been lifted into a helicopter. Troopers identified this person as Hanlon-Abel. Jonathon Peterson, the nephew of the pilot, described his aunt, Fariah Peterson, as amazing. "I bet she did something heroic to save everyone onboard but herself,” he said. Her sister, Michelle Ramsey, said Peterson grew up in Birmingham, Alabama, and graduated from Auburn University with a business degree, later earning her master’s degree from Kennesaw State University in Georgia. More than a decade ago, she graduated from flight school in Michigan, Ramsey said. “It was pretty heartbreaking to hear about, but once we figured out that she was OK, it was huge relief,” White said. A nurse told the family Friday evening that Hanlon-Abel knew her birthday and her husband’s phone number, White said. “She’s pretty strong,” she said. "In one way or another everyone is related," she said. "It’s mostly local people that travel back and forth." “The aircraft is known to be in rugged terrain, and rescue teams were dispatched immediately,” the airline spokeswoman said. In messages posted to Twitter on Friday afternoon, Wings of Alaska said it “regrets to confirm that flight number 202 from Juneau, Alaska, to Hoonah, Alaska, has been involved in an accident.” The company said friends and family of the passengers can call 407-362-0632.